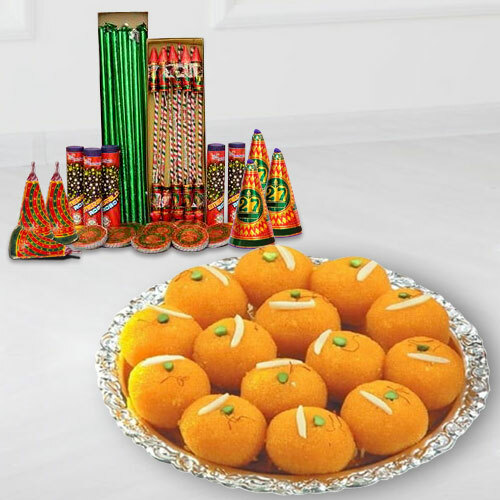 Intensify the merriment of your adored ones by endowing them with this Euphoric Ceremony Diwali Pack and pep up their Diwali period. This joyful Twosome is made up with 500 gms (Gross Weight) Boondi Ladoo and Crackers. Note: Types of Fire Crackers depend upon their availability.